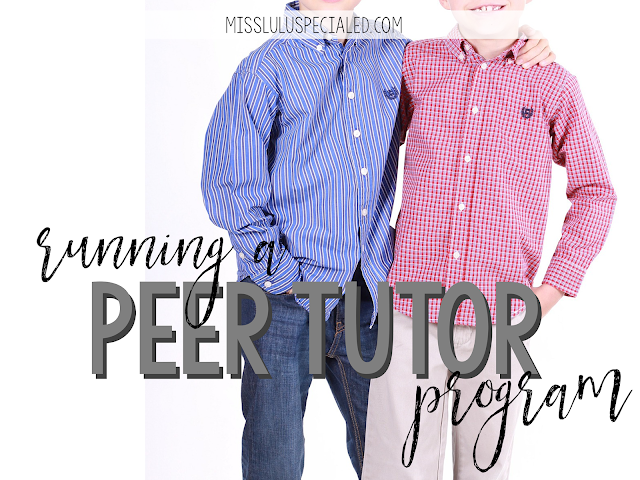 Do you have a peer tutor program at your school? I cannot recommend it enough! Working with peer tutors is one of my favorite parts of my job. There are so many benefits for everyone involved!If you don't and are wanting to get started, check out this great Q&A post, then come back and finish reading these tips. If you're ready to start, or you want some tips about improving your program, then you're in the right spot! Let me tell you about how I run my Peer Tutor program. First, let me give you a quick run down of my program. Students register for Peer Tutoring during school registration. I do require that they get a signature directly from me to sign up. This way I can keep count and only sign up the amount of peers that I need (I've learned from experience that too much help=chaos and more work for me). Each class period, I have between 3 to 5 peer tutors, and they stay with me for the whole trimester. After training peer tutors, I assign them to a student and it becomes their job to help that student throughout the trimester. 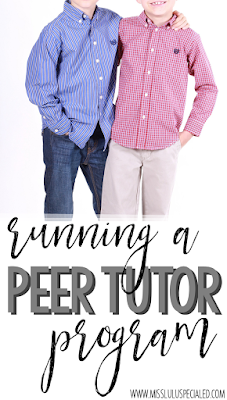 My peer tutors do everything from going to general education classes with students to running programs. I also grade my peer tutors, which means I require them to complete assignments each week. 1. Require active participation. Peer tutors are there to work with the students, so let them! In order for this to be successful, it's important to find a good match between peers. I generally take about a week to assign peer tutors to a student and spend time observing their interaction in class. I also have them fill out a questionnaire at the beginning of the trimester to help find a good fit. I want everyone to have an enjoyable experience! You can grab the questionnaire here! 2. Take the time to train. I get it. You're busy. But if you don't take the time to train right from the beginning, you're adding more work to you're already full plate! The first week of school, I plan lots of simple activities and centers that my paraprofessionals can run so that I can train my peer tutors. If you are unable to do this, I recommend creating training videos or PowerPoints that you can have a para play for the peer tutors. (Do this over the summer so you're ready to go on day 1!) There are some things I train everyone on every trimester. Then, depending on who the peer tutor is working with, I do a more in-depth, one on one training! 3. Set up expectations, responsibilities and/or assignments. I like to have assignments for my peer tutors because it's how I keep them responsible and accountable. All of my assignments relate to working with individuals with disabilities and require some sort of reading or video to watch and then a reflection on how the peer tutor can apply the skill. If you don't want to do assignments, I still recommend at least a weekly reflection log or check in of some sort. It helps students feel like they have a purposeful and meaningful job and like you care about what they are doing and want to know how it's going. I find that I get a lot more info out of my peer tutors when it's in a written format instead of just verbally asking. (You know how teenagers can be!) I also complete observations at least once throughout the trimester so I can give my peer tutors feedback and additional pointers when working with the students. Make it simple and make it work for you. You don't have to run your program like someone else. Make it do-able for you and make it work for your students needs. Always be sure that your peer tutors know their purpose. They are there first and foremost to be the student's friend, not another teacher. You have to put in the time upfront to train, teach expectations, and routines. Just like with any classroom of students, do it right or do it again (and again, and again). Make it fun! This is your opportunity to share your love for working with individuals with disabilities with other students. 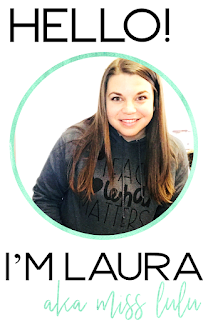 You have the opportunity to inspire young adults to become special educators. It's an amazing thing! Finally, if you're looking for more ideas, I recommend checking out these websites! Questions or Comments? I'd love to hear about your program, or what's stopping you from having one! Leave a comment below.